Briefly tell how you started blogging. I was in a period between jobs last summer after I had finished working as a personal shopper for one of the big department stores. I started writing to keep me busy while Jerome was at school but also to share my photos wider than just Instagram. I love taking pictures when we are away on holiday or travelling, sometimes to the annoyance of both my boys. It became a way to share experiences about travelling with children as friends and family have always asked me how we manage travel to exotic places with a child. I want to show other parents, who perhaps find it incredibly difficult to go away on holiday with their children, that it is not as hard as they think to experience interesting places. I also want to show with my posts that there are many things to do and places to go beyond the obvious family resorts and tours. My posts are also a great way for my family and friends in Germany and beyond to keep up with our lives as living in London we are not able to see them as often as we used to. I never thought that I would enjoy writing as much as I do. I used to be terrible at essays in school, so it was not my favourite subject by far. It makes me happy to get such positive feedback and be in contact with so many different people and their interests from all over the world. Concentrate on a topic that you’re passionate about. Without passion your writing will not capture the readers’ imagination and you will not keep going. We all have days when we feel down or find it difficult to concentrate and get words onto paper. Keep going, there are people out there who love reading what you write about! All of these have inspired me to write and post. They have great content on a wide range of topics from Fashion, Photography to Travel and more. I encourage you to dip into them and enjoy them as mush as I do. You follow some great blogs! 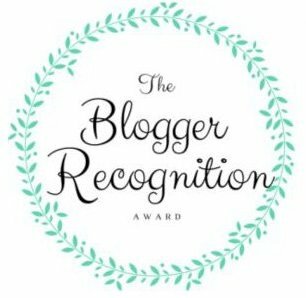 Congratulations 🙂 Here is one more nomination which your blog surely deserves. Congratulations love reading your posts and can’t wait to visit some of the amazing places you write about! Thank you for your kind words and keep on blogging about your travels. I enjoy reading your posts. keep sharing those amazing travel experience!